We, too, got excited when the Rhodes’ casting news was confirmed by the showrunners. The more of its details have started coming out. He would be playing the role of an enemy of Oliver Queen on the show as it proceeds. Below are our preview and prediction. Check and share yours. The next week’s chapter is titled ‘A Matter of Trust’ and it would be regarding the new character of Wild Dog played by Rick Gonzalez. He is one of the new recruits seen in the ep 2. Things have started engaging and intense as WildDog will disobey the Green Arrow and goes to battle a dangerous drug dealer on his own. Later on, Queen will have to come to rescue one of his teammates. Now that Oliver has his new team, they will be ready to hit the streets but Oliver won’t feel they are ready. Headstrong Wild Dog is going to defy the Green Arrow’s orders and set out on his own to go after a new drug dealer, named Derek Sampson, who is terrorizing Star City. The drug dealer, Sampson will eventually prove to be stronger than Wild Dog, and then Green Arrow will come out himself to help his teammate. 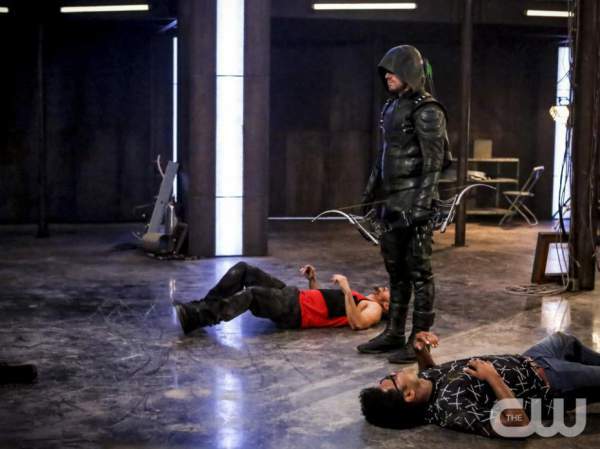 Arrow Episode 3 of Season 5 is set to air on October 19, Wednesday at 7 pm Central on The CW.